You can select up to 5 travellers in total. 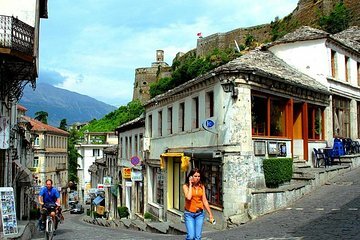 Enjoy a flexible itinerary and personalized attention on this tour of Gjirokastra and Lekuresi Castle from Saranda. With the company of your dedicated guide, explore the UNESCO World Heritage Site of Gjirokastra and its surrounding cobbled streets, then stop by Lekuresi Castle and Blue Eye during the return journey to Baku.